What's better than a lengthening, thickening mascara? 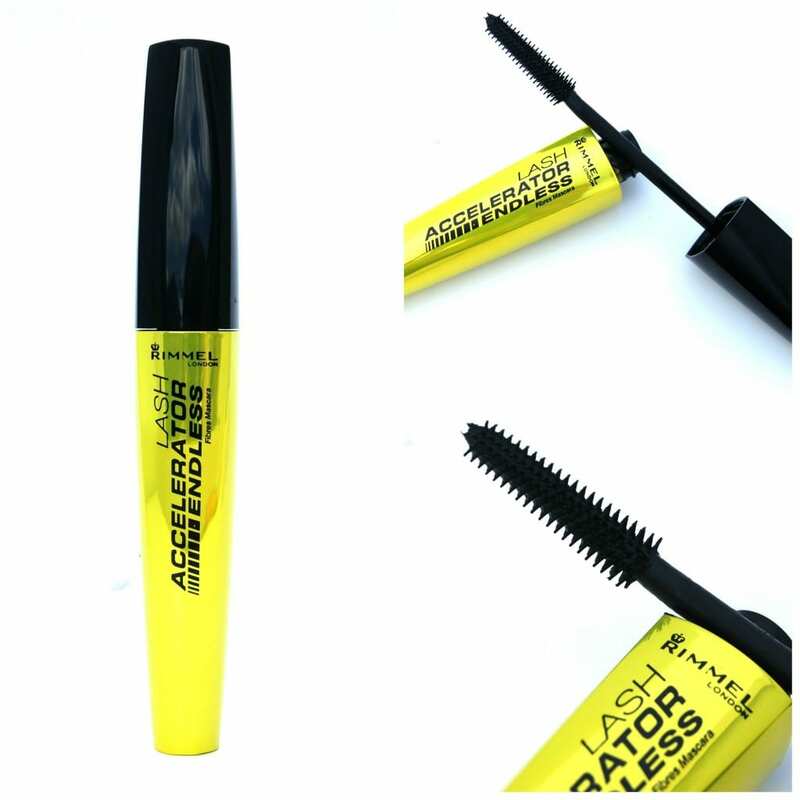 A lengthening, thickening and lash growing mascara, of course! As much as I love what mascaras do for my lashes, I know that its effects are only temporary - whatever boost my lashes get from even the best mascaras comes off when I take my makeup off. But that's not the case with a mascara that helps your eyelashes grow while you're wearing it. You see, these mascaras contain lash growth ingredients so that your lashes stay long and thick - even after the make-up comes off. After all, why would you settle for a regular mascara when you can have one that works to make your natural lashes longer and fuller? You wouldn't, of course - that'd just be silly. So if you're looking to make the switch, here's a little list to help you find the best lash growing mascara for you! Grande Cosmetics, the makers of this mascara, also produces one of the most effective eyelash growth serums on the market - which is what made us perk up when they finally released a mascara. The downside is that Grande Mascara doesn't contain the prostaglandin ingredient that makes GrandeLash MD so dramatically effective at growing much thicker, fuller lashes. The upside? This mascara is instead full of lash strengtheners like Panthenol, Silica and peptides to hydrate and plump up your natural lashes while providing immediate length and fullness. We especially love the inclusion of Myristoyl pentapeptide-17, which is usually found in the most potent eyelash conditioners. Overall, a great mascara with solid lash growth cred! 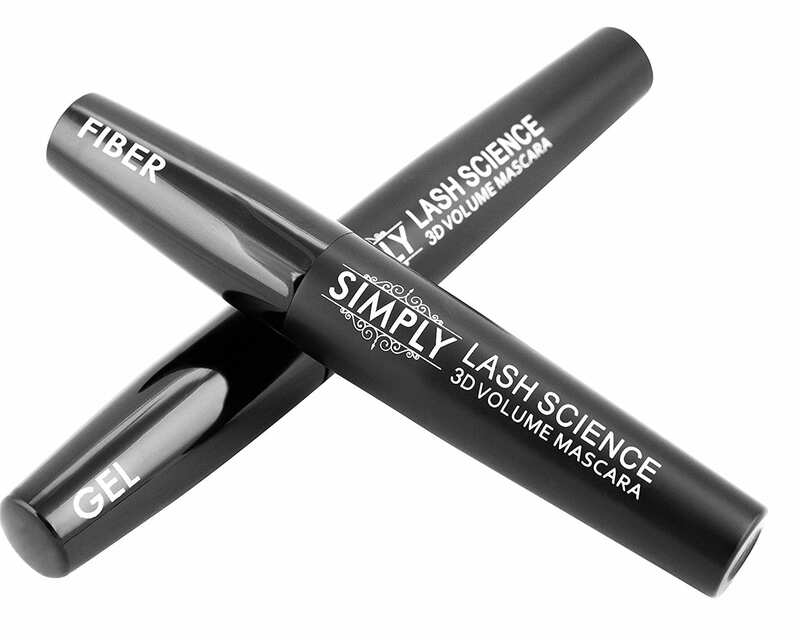 Extra tip: Want crazy va-va-voom lashes with this mascara? Use it after the GrandePrimer. 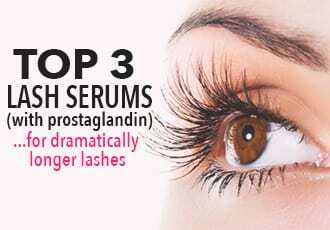 Got weak, brittle lashes that are prone to falling out? Give them a dose of nutrition with Peter Thomas Roth's Lashes to Die For Mascara. This deep, dark mascara comes with the perfect texture - not too thin, not too thick - and brush to build length and volume all while providing a load of nourishing nutrition for your natural lashes with Vitamin E, Vitamin C, pro Vitamin B5 as well as a blend of natural oils. 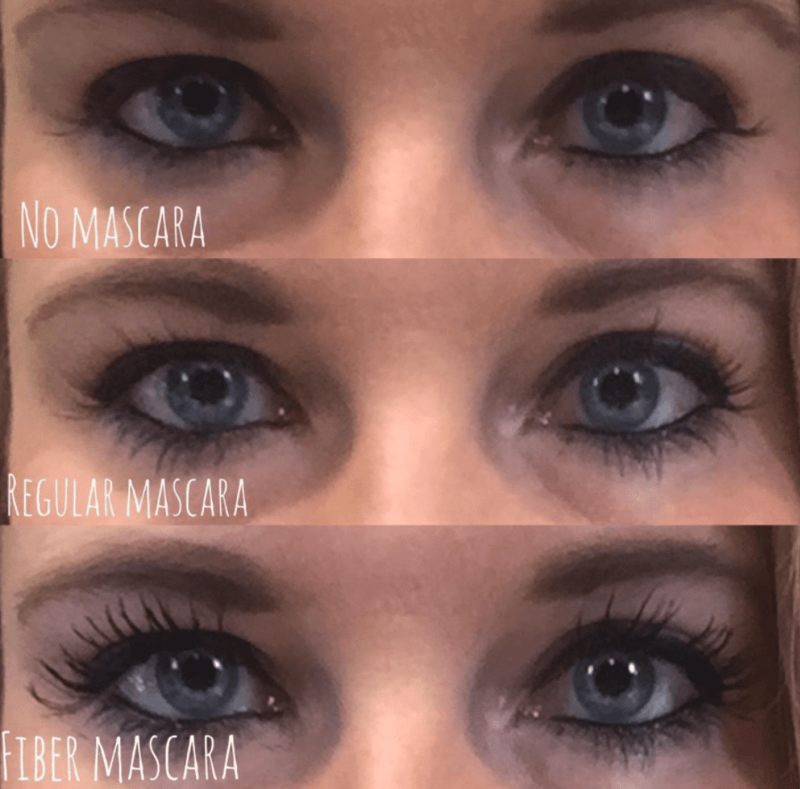 The result is a very build-able, ​deeply moisturizing lash growing mascara that's perfect to instantly add length and fullness while restoring weak, thinning lashes back to health. The first thing you should know about Lash Fusion is that it is a damn good mascara - it goes on "moist," doesn't dry out, doesn't clump, doesn't flake. It just gives you long, full lashes that feel natural like you're not even wearing mascara. 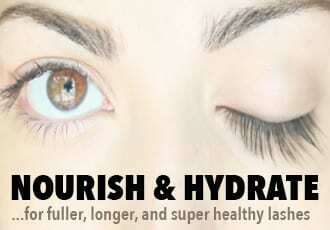 But it gets even better - while working its magic as a great mascara, it also boosts the growth of your actual lashes. Its secret superpower? Widelash™. Its the active ingredient in this lash growing mascara that strengthens and thickens each lash while at the same time giving you all the long, full, dramatic effects of a great mascara. Okay, so this one isn't so much a lash growing mascara as it is a mascara primer but it is enough to use alone on days you want a "natural" look. As for the times when you want your eyes to go va-va-voom? Try this primer underneath a mascara for a crazy lengthening, volumizing effect. On top of those benefits, a primer will prevent flaking and smudging. And while it's at it - Tarte's Lash Enhancing Primer also strengthens, promotes lash growth, and increases the appearance of lash volume (they say by 739%). Now, I don't know about that 739% part, but there is a definite, visible boost in the fullness of lashes. Oh, Tarte's Primer is also free of parabens, mineral oil, phthalates, sulfates and gluten so it's perfect for sensitive eyes! Considering the price, this is one of the best 2-in-1 deals. EVER. The mascara will take your lashes from short to insanely long - and it conditions and lengthens your real lashes while at it! That's 'cause this mascara contains a natural GROW-LASH Complex with Procapil® that lengthens and strengthens lashes. with In about a month's time, you'll start noticing lashes that not only look longer, but lusher and remarkably healthier. This isn't a lash growing mascara but it can give you seriously va-va-voom lashes - without extensions or falsies - while you're growing your natural eyelashes with growth serums. This stuff is incredible - it'll give you dramatically longer, thicker and super lush lashes ​instantly without the mess and fuss of fake lashes (not to mention that icky glue). ​It's also pretty water-resistant and won't smudge if you sweat but it's easy to wash off - warm water and face wash does the trick pretty quickly. Hands down the best lengthening mascara for short, sparse lashes - use it while you grow your natural lashes, whenever you need a dramatic lash line. 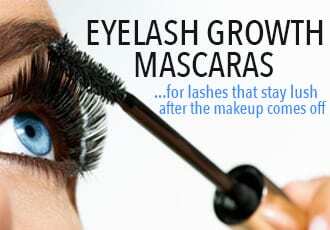 A great lash growing mascara will help you grow lashes while you wear it...but why stop at that? Especially when you can add on a lash growing eye liner as well as for an extra boost!